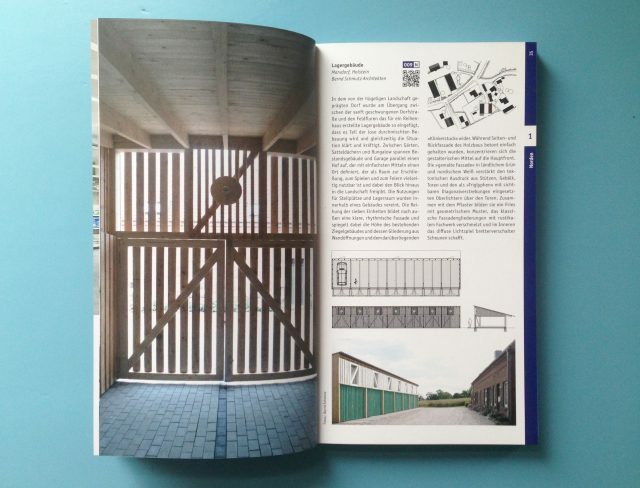 As the only building in Schleswig-Holstein and north of Hamburg the storage in Marxdorf has been published in this year’s guide book for architecture in Germany, ‘Architekturführer Deutschland 2018’ by Yorck Förster, Christina Gräwe and Peter Cachola Schmal at DOM publishers. The countryside garage sits within a richly varied series of large and small, urban and rural buildings, a.o. Bremer Landesbank by Caruso St John Architects. The exhibition design for ‘Actopolis – Die Kunst zu Handeln’ has now moved to Vienna where it is shown at ‘Architekturzentrum Wien‘. Since 2015 more than 70 participants from 7 cities have contributed to the project whose in-situ-interventions are shown on the curving display panels and as part of a catalogue designed by NODE. 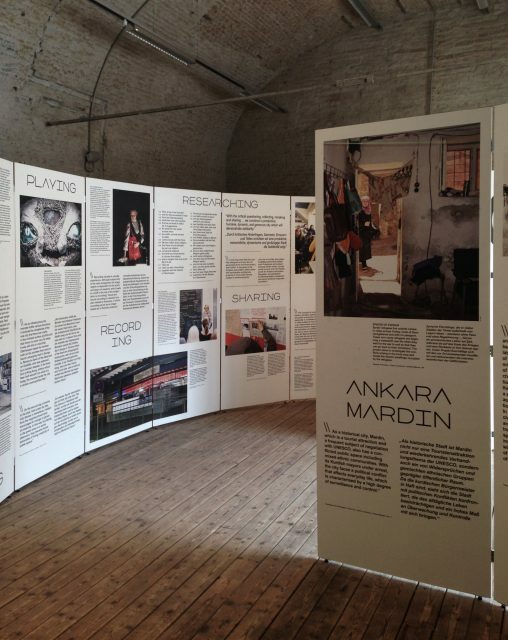 Next stops for the touring exhibition are the School of Fine Arts in Athens and Izmir in Turkey. We are very pleased that the storage building in Marxdorf has been shortlisted as one of 100 buildings in Germany for the 2018-prize awarded by ‘Deutsches Architekturmuseum’ in Frankfurt. The first exhibition for ‘Actopolis‘ will open on 16.03.17 in Oberhausen. The project has been commissioned by ‘Goethe-Institut‘ and ‘Urbane Künste Ruhr‘ and includes 45 projects as urban interventions in 7 cities. After its start in Oberhausen the display will travel to Ankara/Mardin, Athens, Belgrad, Bukarest, Sarajevo, Zagreb, Thessaloniki, Istanbul, Izmir and Vienna where the exhibition components will be arranged as individual site-specific installations reacting to their local context. 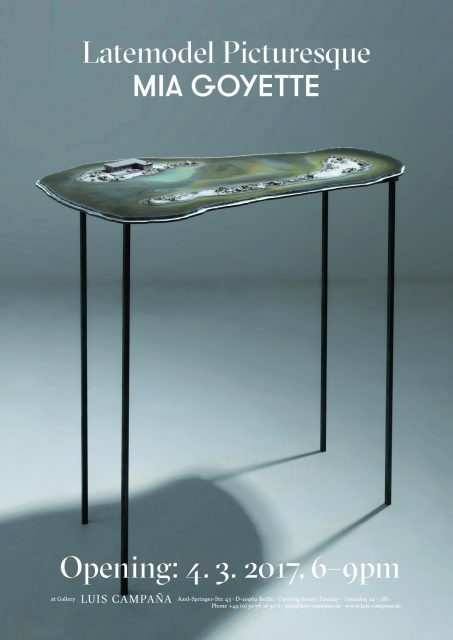 The first section of our project for new exhibition spaces at Galerie Luis Campaña will open this Saturday, 4.3.17 from 6-9pm with a show by the artist Mia Goyette. The modification of the front rooms will start in summer.